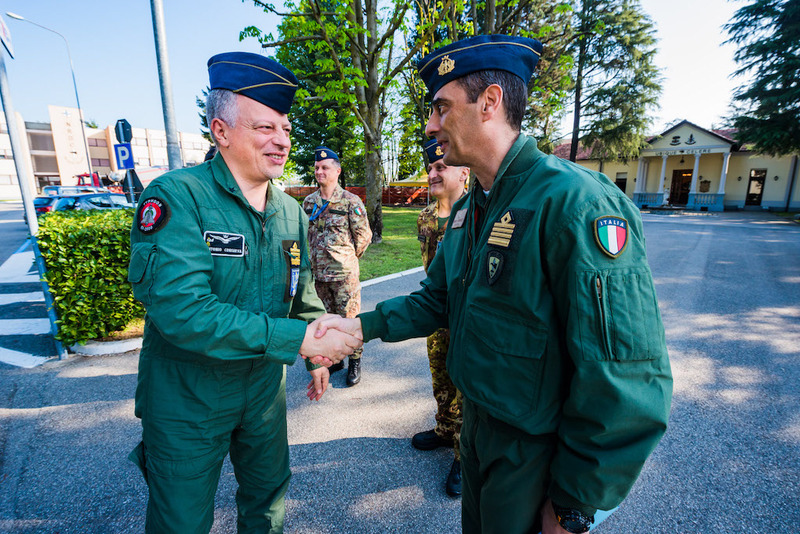 NRDC-ITA NATO - 19th April - NRDC-ITA receive the visit of Major General Air Force Antonio Conserva, Italian COA Commander. 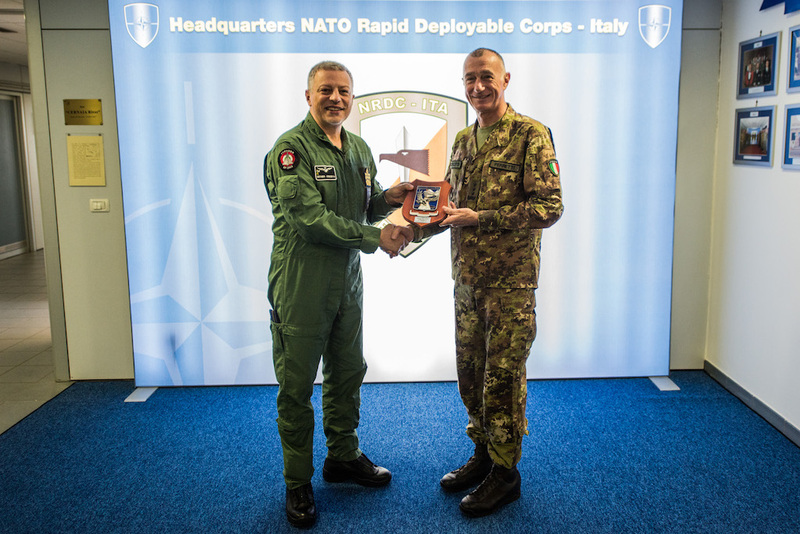 NEWS > ARCHIVE > Archive 2018 > 19th April - NRDC-ITA receive the visit of Major General Air Force Antonio Conserva, Italian COA Commander. Solbiate Olona (VA), 19th April 2018 - Today, at Ugo Mara barracks, Lieutenant General Roberto PERRETTI, NRDC-ITA Commander, received the visit of Major General Antonio CONSERVA, Commander of the Italian Air Operations Command. General Conserva has been updated about NRDC-ITA readiness status as well as its capability to operate in the full spectrum of NATO missions, as Corps HQ, Land Component Command (LCC) or Joint Task Force (JTF) HQ, the role for which the cooperation with the COA becomes crucial. Training activities of the Headquarters have been presented during the briefing as well as the requirements the NRDC-ITA had to meet in order to be certified as Combat Ready as Land Component Command of the NATO Response Force. Also under discussion the benefits personnel from different services receive when working within the NRDC-ITA, either permanently or temporarily assigned to this headquarters as augmentees for exercise. In fact, servicemen and women can dramatically improve skills and capabilities in operational planning and execution. The visit was aimed at strengthening NRDC-ITA and COA cooperation and represents a step forward to an improved synchronization, effectiveness and interoperability.